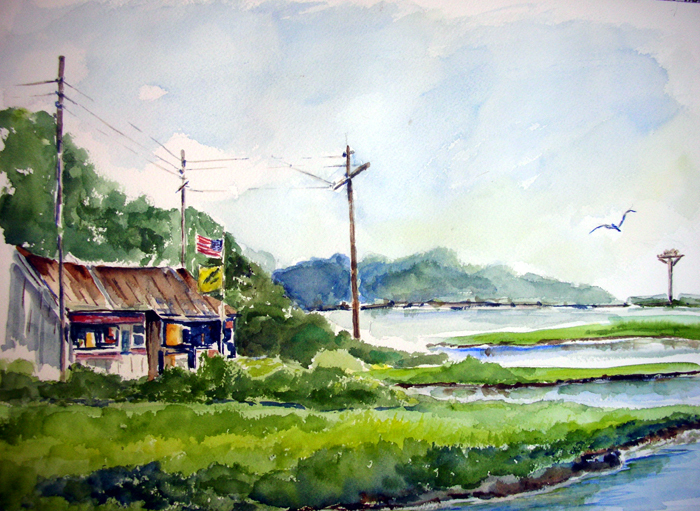 Wherever I travel, across the ocean or in my own backyard, my watercolors are with me to capture the essence of place. 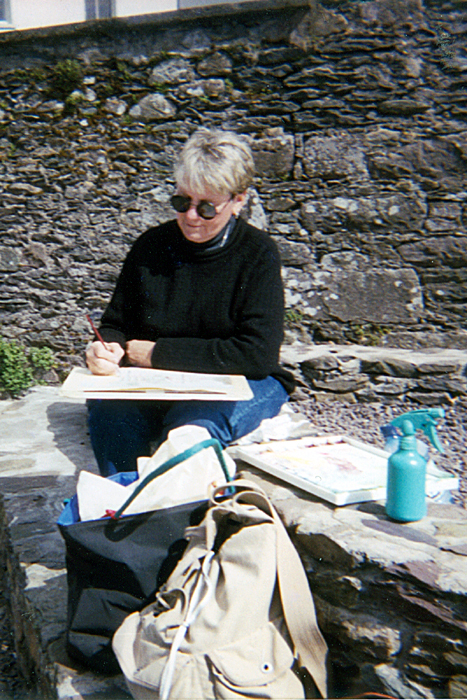 Painting en plein air – in the open air – presents me with challenges as well as opportunities- opportunities to absorb the energy of the street, the countryside, the buildings, the seaside and the people – those who belong to the place – who stop to converse, comment and become part of the experience… and the memories. Memories are part of who we are. 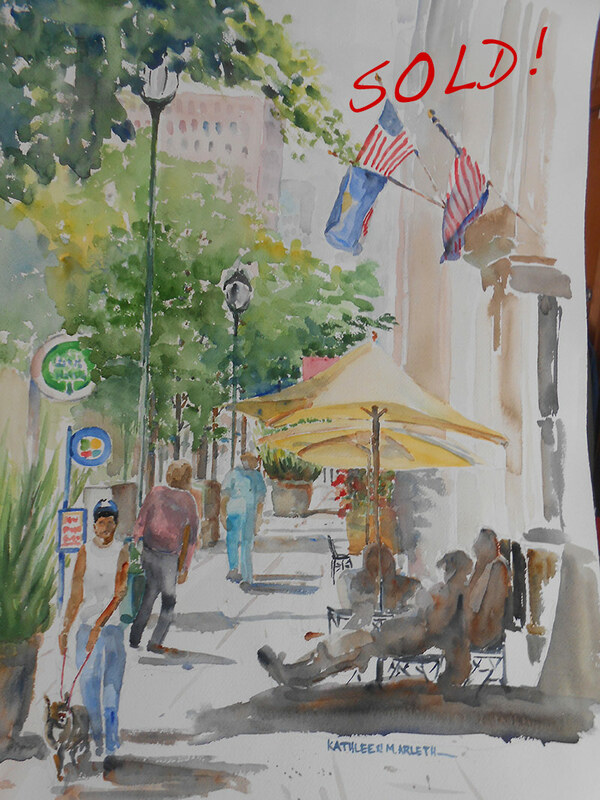 Traveling with Watercolors is currently on exhibit at SHORE MEDICAL CENTER, Somers Point, NJ. All art work is available for purchase. 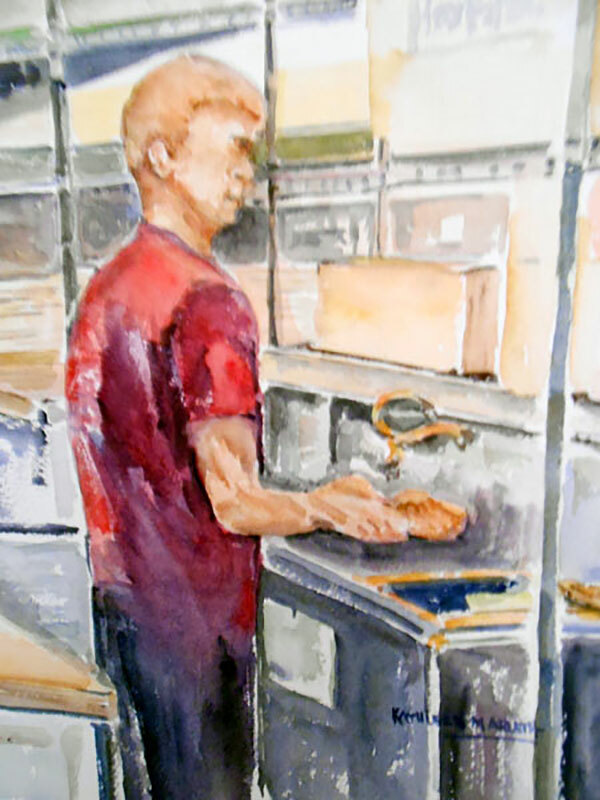 See samples of Kathy’s latest art including pieces from the Cafe Series! “Patcong Vista” wc frame 18×22 / $200. Email katharleth@hotmail.com for purchasing information. 11×14 overall size with a black mat. Originals and Limited Prints with white mats. Click to view the Cafe Series Gallery.